The geoduck is mollusk native to the Pacific Northwest. The geoduck (pronounced “GOO-ee-duck”) is the largest burrowing clam in the world, weighing in at anywhere from one to three pounds at maturity. The appearance of geoduck’s large, protruding siphon has led to the belief that the geoduck has the properties of an aphrodisiac. The geoduck has a life expectancy of up to 150 years with the oldest recorded at 163 years. Oh, there is a GeoDuck fight song too.. I hope they don’t have a Football team there. 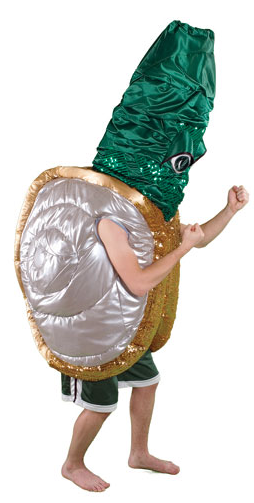 Ok .. ok I won’t hold it off much longer .. here goes the GeoDuck, the worst College Mascot EVER …. Posted in College Life, Funny. Bookmark the permalink.